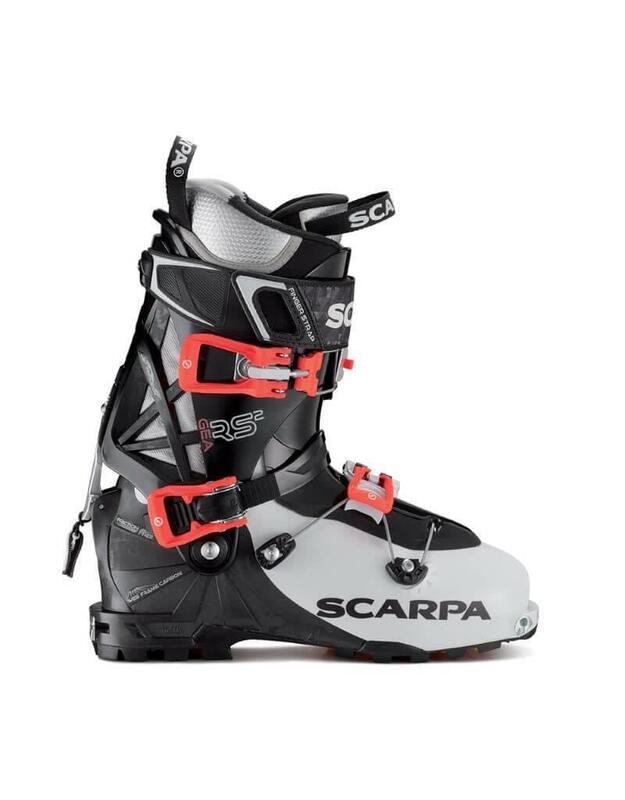 Scarpa's stiffest, most powerful women's-specific AT boot, the Scarpa Gea RS elevates the intersection of freeride performance and backcountry functionality. The Gea RS is reborn with an updated closure system, freeride-style ski/walk mechanism and an innovative Grilamid® shell that's infused with carbon fibers to add power and rigidity without adding weight. 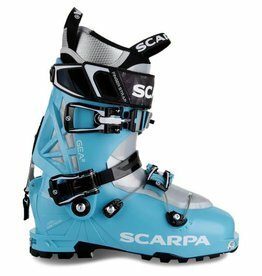 The Axial Alpine EVO construction system used by Scarpa marks a standard in the alpine touring boots, studied to be the best in terms of lightness and comfort. Working together with the Evo Tongue, the system guarantees the best performance. Web Frame Carbon Design: Specific sunburst design on the heel area that alternates different thicknesses of the shell’s walls. 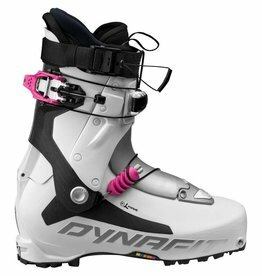 This design offers enough support in the key area of the boot – where the forces are stronger – while saving weight where the thickness is not crucial. Bi-Injection Shell: SCARPA® introduces this new technology thanks to the bi-injection of these high performance materials: CARBON GRILAMID LFT® and GRILAMID®. This helps to create a shell that offers incredible performance: stiffness and high torsional rigidity up to the toe area, thanks to the design of the two injected parts. New Thor Buckle: This new buckle is constructed in magnesium alloy that is both strong and light. Its essential design offers an easy handling while wearing gloves. 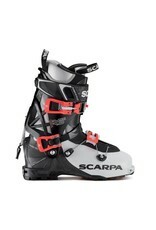 Thanks to the Heel Retention System and instep straps, the heel security has become a SCARPA’s trademark. 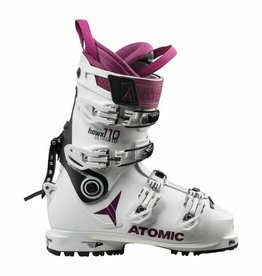 The closing band of the instep is equipped with a toothing, which allows a dedicated micrometric adjustment. The buckle adopts a cam that keeps always its position during walking phase. Every tooth of the strap means a 4mm adjustment.